ICT Tracker is an easy-to-use mobile productivity tracking software solution. Utilizing augmented reality, ICT Tracker enables construction teams to benchmark field installations and deliver comprehensive construction reporting for real-time visibility. 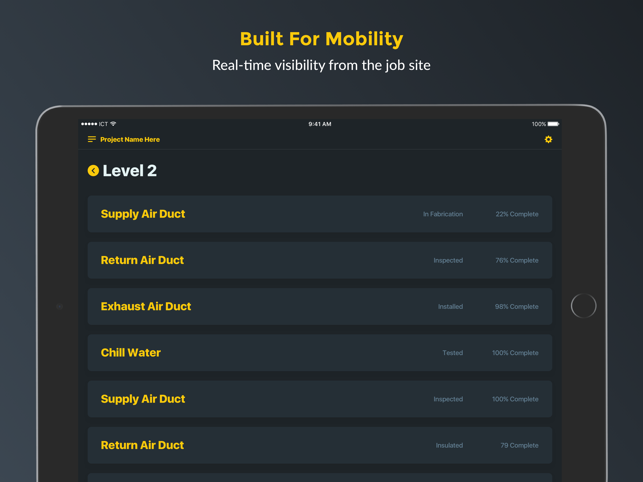 Contractors will be able to accurately track construction projects, control costs and make better decisions based on detailed, up-to-date information from the job site. 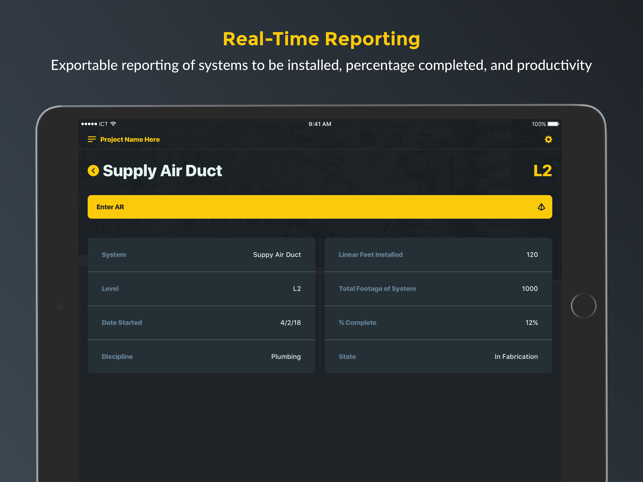 Exportable, real-time reporting of systems to be installed, percentage completed, and productivity by linear feet and time. Utilize existing project contract design or construction models. 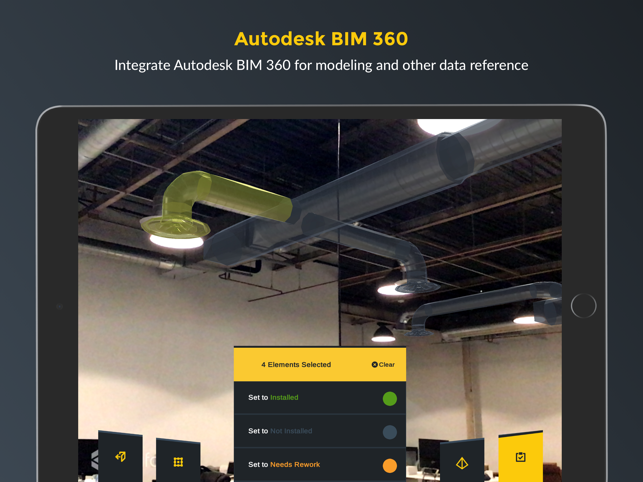 Integrate Autodesk BIM 360 for modeling and other data reference. Incredibly easy to use for non-technical end user. 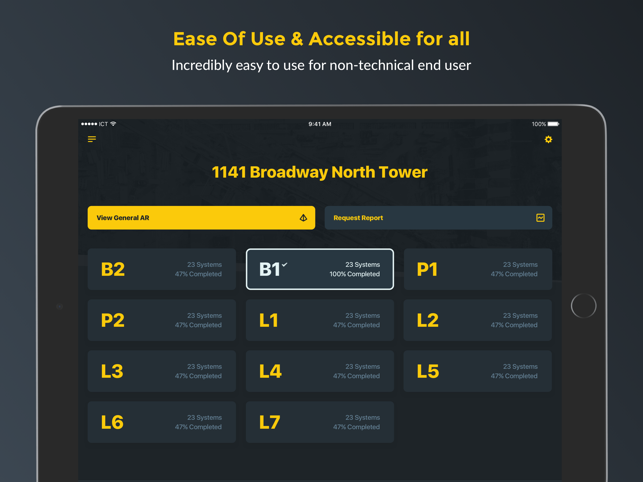 Accessible for large, medium and small contractors. Works with the Apple iPad for a truly mobile experience. Have feedback or need help? Contact us at help@icttracker.com.